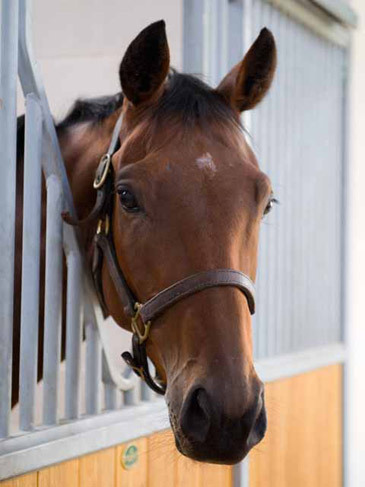 We offer an individually tailored rehabilitation service for horses recovering from injury. Your horse will benefit from having a veterinary surgeon on-site who will be directly involved in your horse’s recovery programme. Kate Bandey MRCVS will work alongside your own vet to ensure that your horse receives the highest standard of care and is given the best opportunity to make a full recovery. Ultrasound scans and radiographs to monitor the healing of your horse’s injury can all be performed on site and emailed directly to your own vet. Alternatively, we can transport your horse to your own vet’s premises for them to re–evaluate the horse’s progress. We have large stables, a 36ft horse–walker, a Claydon turnout pen and small individual turnout paddocks which are perfect for initial turnout after injury. Every horses on-box confinement is given at least 10 minutes in–hand grazing twice daily in a small, fenced area outside the stables. There are an extensive network of private roads and tracks around the estate which we use for initial ridden work. We also have a 7 furlong grass hill gallop and access to a 4 furlong all-weather gallop which allow us to rehabilitate your horse back into full training. We work closely with an equine physiotherapist, equine osteopathy, and we have an excellent farrier who can perform remedial shoeing if required.